During this year’s graduation ceremony on June 4 in University of Borås, School of Engineering, Progressivity incl. its subsidiaries Connect Companies and StayHome.SE presented their yearly award to the person who carried out the main thesis. 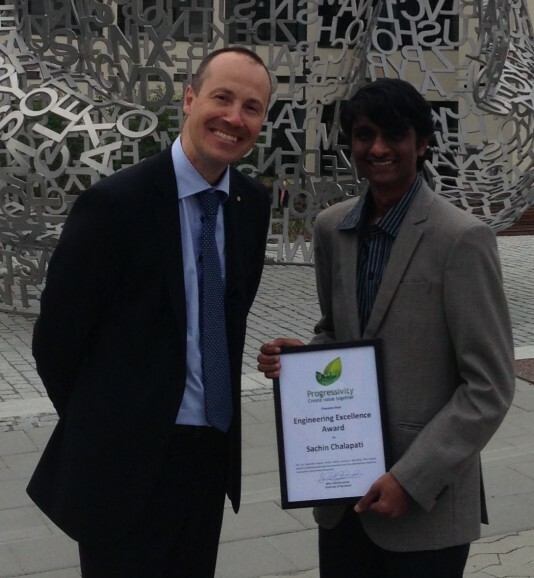 This year it was handed out by Mr Björn-Ola Kronander to the masters student Mr Sachin Chalapati. The work is professionally documented and is characterized by creativity, innovation and entrepreneurship. Engineering at it’s best. Congratulations!